The original one-week, five-lesson Teacher’s Guide was expanded to a three-week, fifteen-lesson guide with more than 200 pages. Each lesson lasts approximately one hour, with 30 minutes devoted to bicycle-focused academic/classroom activities and 30 minutes devoted to physical activities that improve strength, balance, and flexibility. More than thirty-five (35) pocketed, camera, or copy-ready “Teacher Master Pages” in English and Spanish designed to be reproduced as overhead projector teaching aids and/or distributed as student handouts. These include reference and class discussion materials, homework assignments, puzzles, and tests. 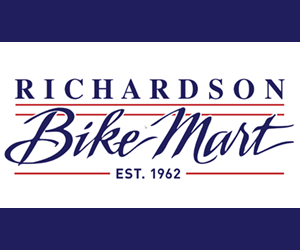 Numerous lesson plans to teach and reinforce Texas bicycling laws, the parts of a bicycle, how to check your bike before every ride and safe cycling practices applicable to both traffic and recreational environments. Lessons on how to spot and avoid potential hazards, improve reaction time skills, and apply those skills in potentially hazardous situations. More than fifteen (15) thirty-minute robust physical activities and exercises, illustrated and described in detail. These exercises improve the balance, flexibility, strength, and endurance skills one needs to prepare for the physical demands of cycling and other challenging sports. “Health & Lifestyle” lessons to reduce ever-increasing national childhood obesity statistics and address youth inactivity. Among other things, these lessons include a coloring book-style Food Pyramid, and the U.S. Centers for Disease Control & Prevention findings on the importance of children’s physical activity. More than eighty (80) original “kid-friendly” illustrations and five character mascots that appeal to eight to thirteen year olds, encourage participation, and promote study of the material. An optional SafeCyclist Quick Course that focuses on five primary lessons for those schools/teachers who don’t have 15 hours to devote to the full program. Quick Reference & Resource sections to aid teachers in preparing to teach the lessons. These sections include summaries of lesson plans, objectives, required materials, related reading material, and reference Web site addresses. 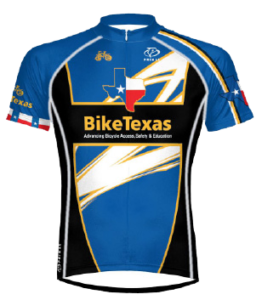 The Curriculum complements and encourages development of national and state-sponsored initiatives such as the BikeTexas Safe Routes to School Program. Supplemental material made available with the curriculum includes the U.S. National Highway Traffic Safety Administration’s (NHTSA) Bikeability Checklist and Walkability Checklist.